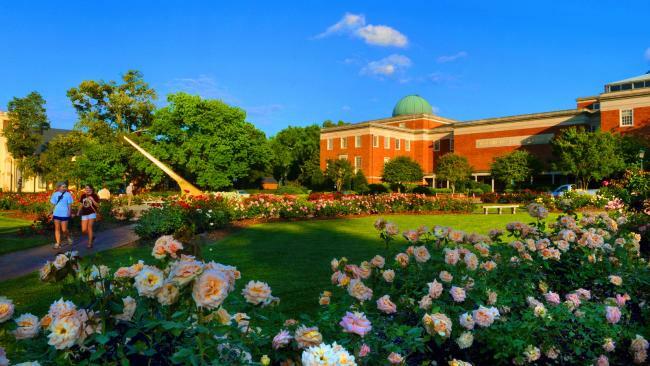 Yes we know, but wait – these are really fun museums! Infants to tweens will love the Kidzu Children’s Museum with their innovative exhibits, Fam Jams and Learning Garden. 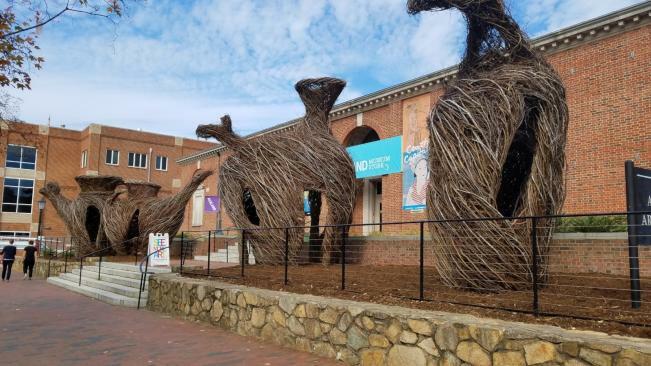 And who wouldn’t want to step inside and peek out of these stickworks in front of the Ackland Art Museum. Inside and beyond the 10-12 changing and traveling exhibits there’s Family and Friends Sundays, Drawing for Tweens and Art Adventures. Last but not least, even non-Tar Heel fans will appreciate the interactive presentations highlighting Carolina’s Final Four appearances and ACC Tournament championships plus tributes at the Carolina Basketball Museum. Kids love animals, animals love kids! How do hayrides, snuggling with baby goats & purring with lovable cats sound? Spring Haven Farm and 1870 Farm have events featuring goats and other farm animals nearly year round. 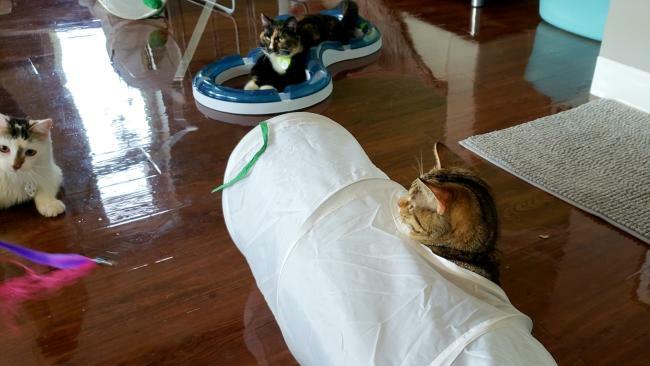 The Cat Tales Cat Café lounge is home to 12 cats ready to play. Kids need to be outdoors and space to run around. Explore the Children’s Wonder Garden, Play with a giant chess set and search for Venus Flytraps at the North Carolina Botanical Garden, Dance to bluegrass at Fridays on the Front Porch, bring a blanket and snacks for Movies and Music on the Green at Southern Village, and watch giant puppets as they tell stories of the human heart at the Annual Forest Theatre Summer Giant Puppet Festival. Still Have Energy to Burn? Climb ‘til you can’t climb any further at the indoor rock climbing venues; Progression Climbing and Chapel Hill Community Center. Our neighboring towns of Carrboro and Hillsborough love families too! Check out these venues and events.